This is a multispectrum hologram with three large eagles across the center of the hologram and a large eagle across the middle. The words "Valid Authentic Secure Genuine" appear at the top and bottom of the hologram. As the angle of the card is shifted, the visible range of the hologram changes. The hologram measures 2.01? ?x 3.3? ? and fits all of our butterfly pouches perfectly. Each hologram peels and sticks and is applied manually. 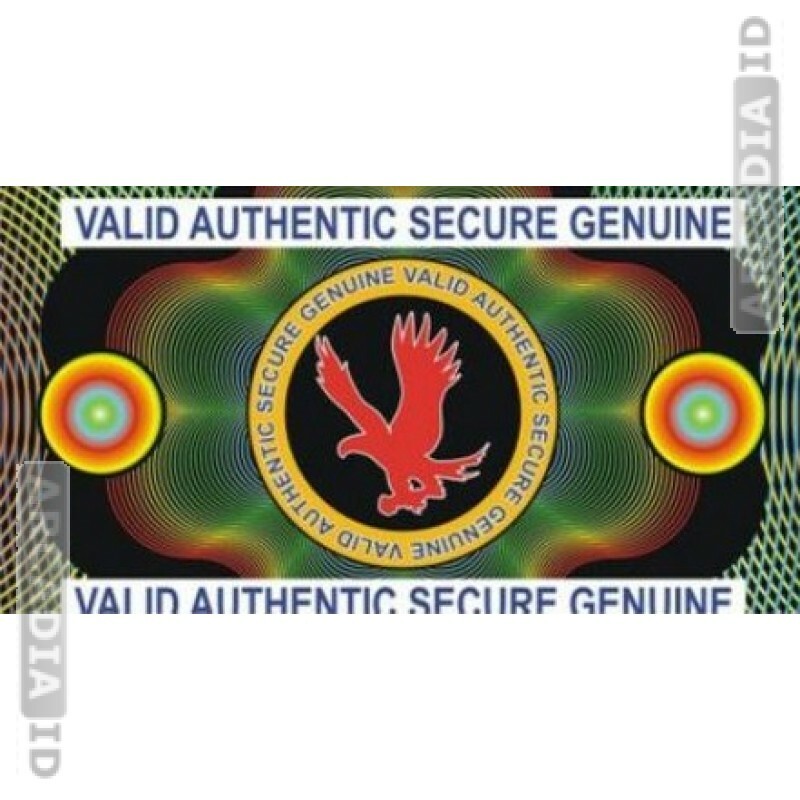 Holograms are ideal for enhancing the security of your card and increasing the durability of the card surface. The picture shown is an artist interpretation of the hologram showing only the "flat" content on the hologram. The hologram plays with light beautifully and is a fantastic security measure for your IDs.